Itel has just released a new smartphone with an upgrade to their usual specs. The itel S41 came with a 3GB of RAM which is likely the first phone with such RAM size from the company. That's not all, the itel S41 has support for 4G LTE network, dual 8MP cameras plus LED flash for both the back and front of the phone. There's also a fingerprint sensor which is located at the back. The phone spots a 5-inches screen display with 2.5D curved glass, came running on Android 7 Nougat and powered by Mediatek MT6737M chipset coupled with Removable Li-Polymer 2700 mAh battery capacity. Unfortunately, the device is only available in India, and supports only two GSM bands and the LTE band support is limited to Indian networks. So, i wouldn't advise anyone to ship it out to other countries. Here's the full specifications of itel S41 as well as the price in India. Where To Buy itel S41: The S41 is available only in India. Itel S41 specifications, features, price in India. 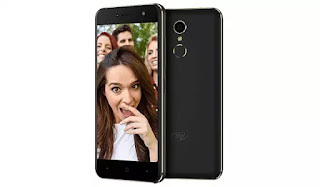 Itel S41 released date, review, hands on, specifications, price in India. Good specifications but the itel needs to work in the area of the battery. Itel coming up, nice device, but the battery capacity should have 4000mah. I'm sure the Indians would be unhappy with the battery capacity. Good device but the ba3 capacity should have been step up a little.